COntact us to Book Your EVent today ! 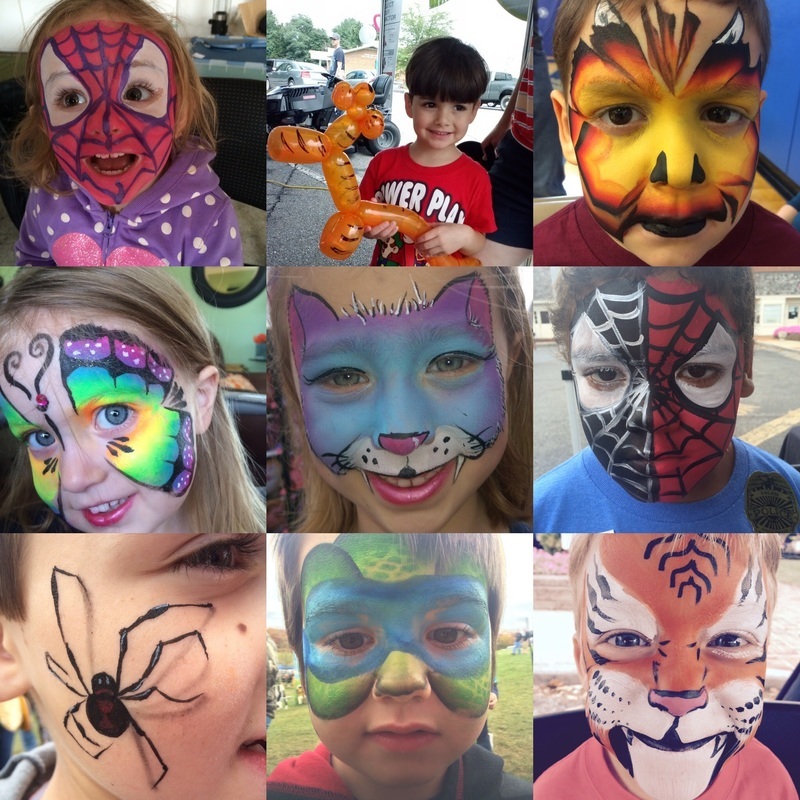 Professional Face Painting available for children, teens, and adults. Face Painting is a huge hit with everyone ! 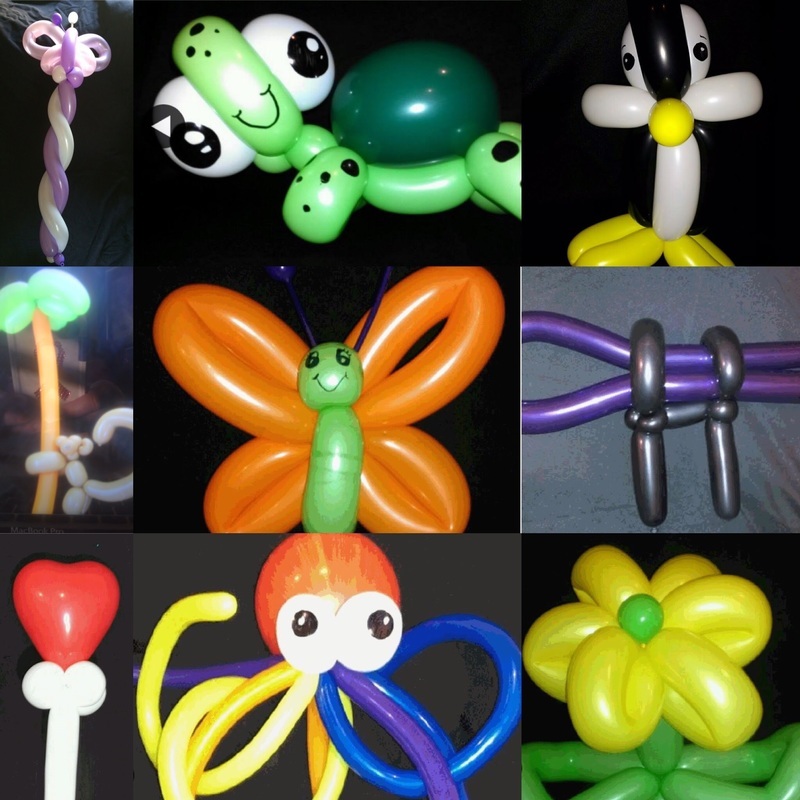 Balloon Artistry is not only for small children. Our highly skilled "Ballooners" look forward to bringing your imagination to life, book your artist today! 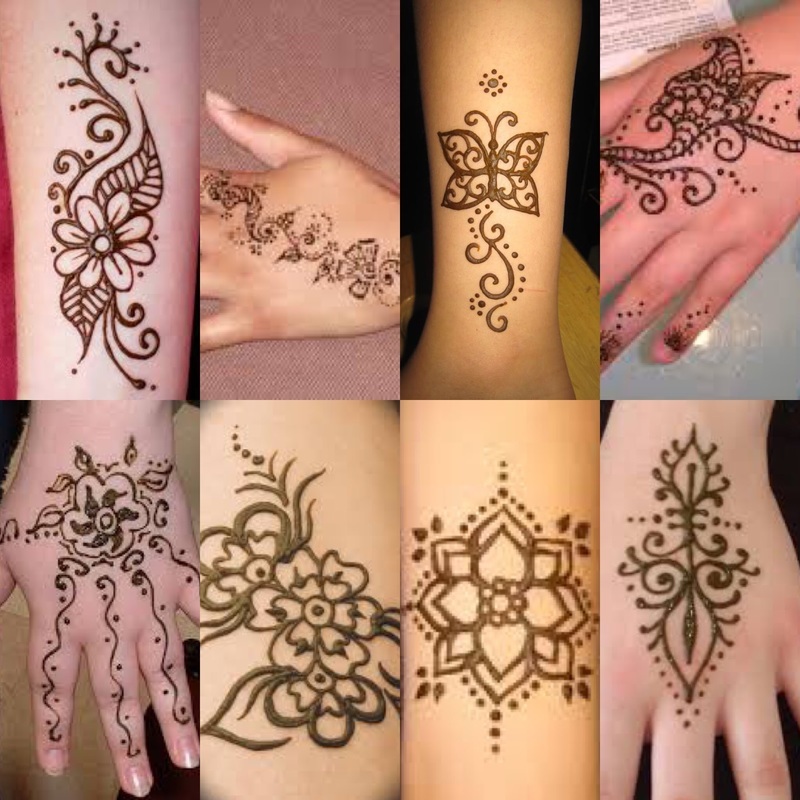 Henna temporary body art is a fabulous way to express your personality through a simple or complex single color design. All henna designs are unique, crafted by the artist and guided by you. Henna designs last for one - three weeks. Henna ink, also called mehndi, is made of dried henna leaves and a blend of essential oils. We never use "black henna"
Air brush tattoos are a great addition to any party, this colorful skin art is a huge hit with children, teens, and adults. The paint can last up to 10 days, or can be removed immediately. Inks are FDA approved and hypo allergenic. No PPD inks are used. 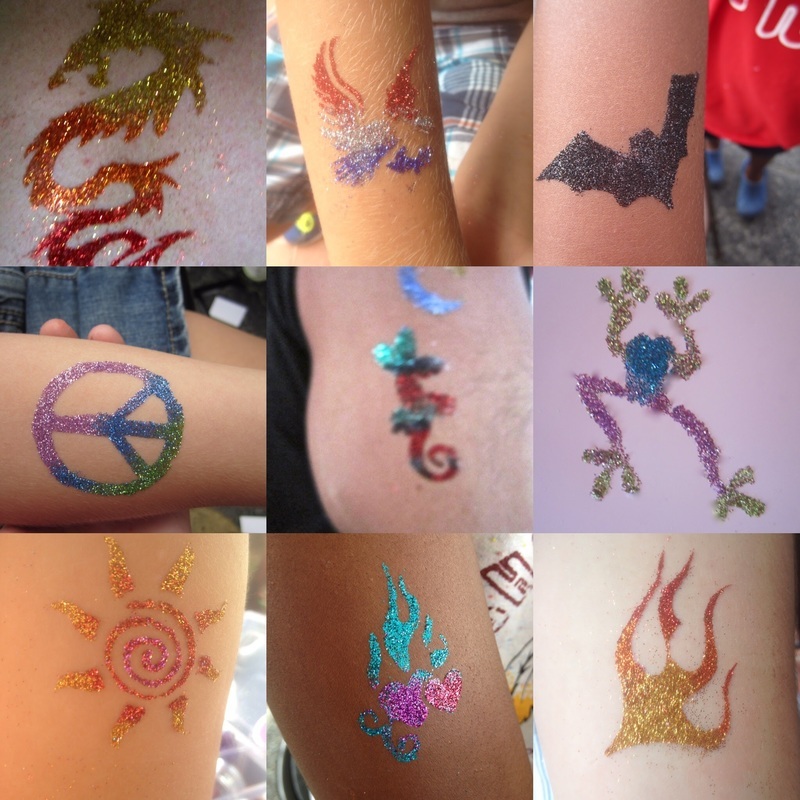 Throw a glitter tattoo party today ! Eye-catching tattoos last 3 - 5 days (sometimes longer). Includes 1-15 full face painting per hour booked. Includes balloon hats, sword, animals, etc. (sometimes longer). Glitter tattoos are applied with latex free body glue. All remove with rubbing alcohol. Tattoos are not for faces. a fun combination of activities to engage your guests! Includes face painting, balloons, and choice of glitter or sharpie temporary tattoos. make a splash at the next pool party! Includes balloon artistry, and glitter and sharpie temporary tattoos. Ask about ordering special custom designs for your party. you decorate the venue and we'll decorate you! we recently started painting baby bumps for expectant mothers!